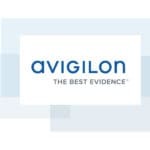 Avigilon’s H4 PTZ Camera line is available with multiple different options.The camera is available in 1 Megapixel and 2 Megapixel resolutions. 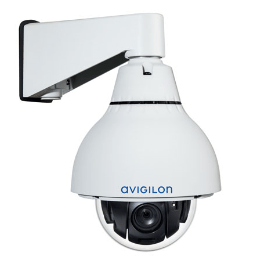 The Camera is also available with multiple different mounting options, Indoor / Outdoor pendant, and In-ceiling mount. 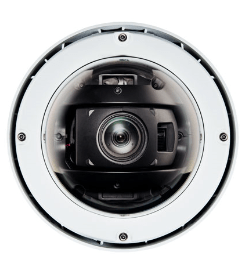 The PTZ Cameras also have different options for zoom, the 1 MP PTZ offers a 45x Zoom, where as the 2 MP PTZ offers a 30x built in zoom lens for high detailed, high quality images whilst zooming in. Avigilons HD PTZ Cameras offer unsurpassed image quality with precise positioning and high speed tracking, the H4 HD PTZ camera takes advantage of enhanced HD Steam Managament (HDSM) technology to lower bandwidth and storage requirements, whilst also providing incredible low light performance due to LightCatcher and a Wide Dynamic Range along with a 360 degree roation at upto 450 degress per second. The unique design of the in-ceiling mounts allows for a very simple installation and can be done in just seconds. 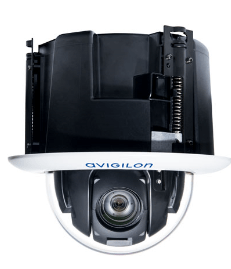 The qualities and features of this camera makes it Ideal for indoor applications like retail stores, casino’s and commercial environments, and now with the Self-learning video analytics, this means that it will be much easier to track vehicles or people inside of the environment with ease, keeping your staff, assets and property safer than ever. 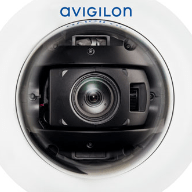 The H4 PTZ Camera comes with multiple Avigilon Patented Technologies such as HDSM, LightCatcher and WDR. WDR (Wide Dynamic Range) means that the camera can capture high detailed images in scenes that have either low lighting or very bright lighting. HDSM Means that the camera only captures the part(s) of the images that you actually NEED to see, e.g. if you need to zoom in for Visual Identification on a person then you will be able to see their face clearly when you zoom in, this is also the same with things like license plates. Because the PTZ has a 360 degree view, anything in the area will be captured as it will have no blind spots. Self-learning video analytics also means (with the right configurations) that it can display boxes around either people or cars (red for people and blue for vehicles) and can even measure if the object has been in the area for too long.